Self-care week is an important chance for us all to think about how well we take care of ourselves. It is good to step back and make sure we look after our physical, mental, psychological and medical health. Students can face a lot of pressure from their studies. It can be stressful to juggle your course, social life, extra-curricular activities and develop your career prospects. 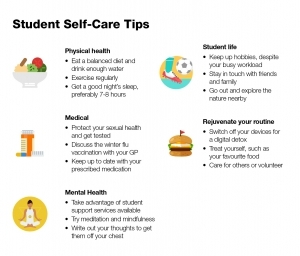 One of CU’s Student Support Advisors, Laura Allen, has shared some of her top wellbeing tips for students. It is not an exhaustive list since you know your own needs better than anyone, but a good guide to keep you on track. How well you treat your body is a key part of your wellbeing, but care for your physical health can be one of the first things sacrificed when under pressure. Eating a balanced diet, drinking enough water and getting regular exercise can be a pleasurable way to keep yourself fit and energetic. Studying can encourage bad eating habits, so don’t eat to beat stress or use caffeinated or energy drinks to artificially sustain your concentration. Get a good night’s sleep, preferably 7-8 hours, by creating a regular and relaxing routine. Whilst it may seem like a bad idea to step away from the books just before an exam, it will help boost your concentration and make you even more productive. Taking care of yourself medically is also very important. Protect your sexual health by getting tested, educated and discussing issues with partners. Make sure you have an open dialogue with your GP so that you can keep up to date and review your medicine. This time of year is the perfect opportunity to ask your doctor whether you should have the flu vaccination to give your body a fighting chance over the winter months. Mental health is a topic that you might not think about as much. It is just as important as taking care of your physical self, since it can have serious repercussions for your wellbeing. The most important thing is to know that there are plenty of ways to seek support. CU has its own Student Support Teams who are responsible for supporting our students. This includes welfare support by providing a broad range of advice and guidance on personal, practical and emotional issues. Support and guidance is also provided for students with disabilities and long term health conditions. This includes assistance with the Disabled Student’s Allowance (DSA). The Student Support Advisor works closely with all academic and professional staff, as well as external agencies. Self-care is something you can integrate into your lifestyle. It is important to keep up hobbies, even when you have a busy workload. For example, you could take a dog for a walk for one of the many websites that let you borrow a pet. Hobbies that let you channel your creativity, volunteer or care for others can give a welcome boost to your mental health. It is also good to treat yourself sometimes. We get caught up in doing what we think is right that our favourite food, drink or activity can make us feel much better when you have it in moderation. Modern life is a stressful environment so it is can be healthy to escape your everyday life for a bit. Getting out into nature can help us reconnect with ourselves. There is plenty of peace and quiet in the green spaces near Coventry, unwind in the local area and beyond. Try a digital detox by switching off your devices and you might find that not having anxiety-inducing notifications from social media improves your mood. 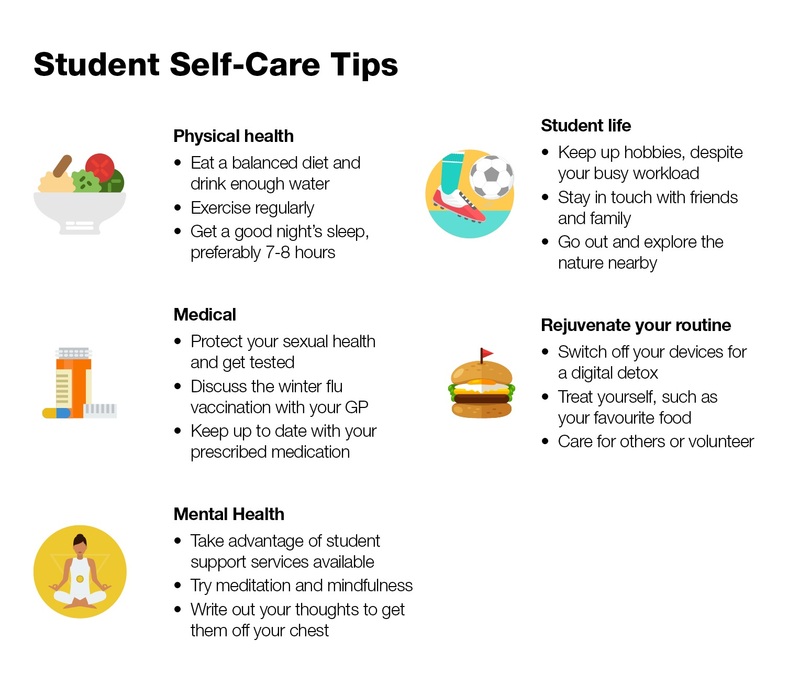 Self-care week is all about knowing how you can support your own physical and mental wellbeing and when to ask for help.  For advice on a range of different topics, we also have access to self-help leaflets on a range of topics. Mental health and counselling services are also available once a week to support students with emotional difficulties and mental health conditions.